On 23 January 1952, the Olbers Planetarium in Bremen nautical college opened. Located in Elsflether Straße, it served as a training facility for the students of the college. 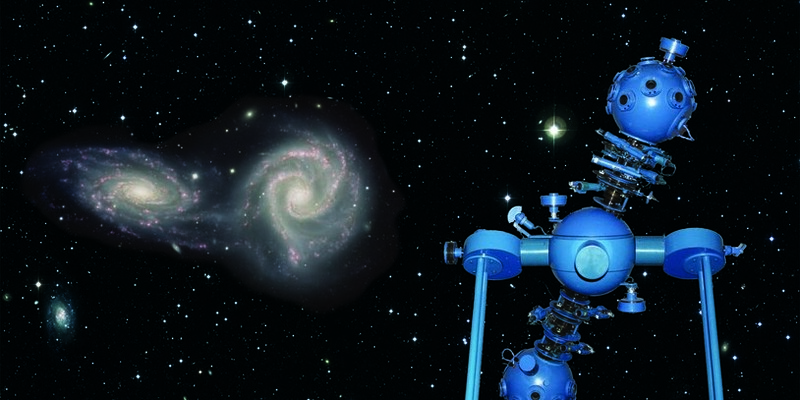 After the relocation of the college to the Werderstraße, the planetarium has become an exciting virtual experience of the natural world for members of the public in these last six decades. Images of starry skies are projected on to the domed roof, giving visitors the impression they are looking directly up at the night sky, where they can see meteors and comets. The room in the domed auditorium with its projector is exactly as it was in 1952. Only equipment needing technological updates has been modernised. The lighting, slide projector, DVD player, and projector help create the right atmosphere. The varied programme of the planetarium offers everything from straight-forward school presentations, to shows with musical accompaniment. The planetarium also serves as a venue for events as varied as children birthday parties, company outings, and weddings.